We had the awesome privilege of having a Q&A with Chris Fazio who works with Corus Entertainment. He is an animation professional as well as owns and manages Animation Career Pro – an online school for 3D and 2D animation. Chris has been working in the industry for quite some time now on titles for Disney and Nickelodeon and he is not slowing down at all. We asked him about his career and he had this to say! Tell us a bit about yourself – Who are you and where are you from? When did you start your career and where? What made you decide that you want to be an animator? And now, a teacher? What do you enjoy most about working with the people in your career? What is it like for you to have a full time job at Corus Entertainment and also manage your online school, Animation Career Pro? Please tell us about your work at Corus Entertainment – what do you do for them? What other projects have you worked on that has had a big impact/success towards your career? What is the highlight of your day in the workplace? Do you prefer coffee, tea or beer? Or wine? Are there any fond memories you have from your first day and where? What are the biggest factors in your career that motivate you to keep on doing what you do? If you could say anything that you want to aspiring animators that are just starting out and pursuing a career in animation, what would you say to them? Please tell us about Animation Career Pro – what is it about? What inspired you to start the online school and to help train aspiring animators? How long have you been working on Animation Career Pro? Will you be hosting masterclasses or live workshops? What are your end goals for Animation Career Pro? What are the different courses offered at Animation Career Pro? Is the training aimed specifically at Maya and/or Flash? Do you offer mainly character animation training or are you looking to teach the fundamentals of animation? Do you have any links we can follow to see more of Animation Career Pro? I grew up in Windsor Ontario, Canada. Always drawing when I was young and right into my twenties. I worked in our family business where my father owned a very successful auto service centre in Windsor. I had an opportunity to partner with my brother to run the business as a career, but I couldn’t see myself as a mechanic/shop owner for the rest of my life. I had to peruse animation. I knew if I didn’t I would have always wondered what could have been. The animation program started right around that time. While I attended school I worked in a casino, restaurants, a rice factory… even duct cleaning! I’ve have a variety of life experiences. And now I’m a father of two. In 2000 I began a three year, animation diploma program at St. Clair College in Windsor where I was trained in traditional animation (pencil on paper) with a light table. We also learned 3D Maya animation and had regular life drawing classes, 3D modelling, rigging, environment/layout training, film and animation history and theory, storyboarding, lighting and camera…almost every aspect of animation industry and film related to animation. It was a combination of traditional 2D skills and film theory, and we applied those skills to the 3D world. I graduated in 2003. I always loved to draw growing up. As a teenager I spend lots of time sketching out of the comic books I loved to read. I also enjoyed the cartoons I watched on television and Sesame Street and the Muppets. A 3D rigged character is basically a virtual puppet. Animation as a career wasn’t really a reasonable choice where I lived in Windsor as there was no industry there. But then the 1990’s hit and the animation industry started to explode with the release of Toy Story, animation courses began to emerge everywhere! My interests and talents just sort of gravitated me in that direction. Around 2007 the studio owner where I was working asked me to teach Flash to a studio full of Maya animators. From then on I really enjoyed teaching animation. 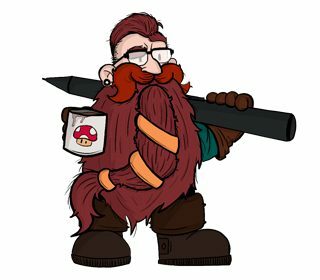 I’ve taught college graduates, and am in my third year teaching college student’s part time as I work as an animator full time. I’ve taught 1st, 2nd and 3rd year students. This year it will be 2nd year 3D animation at Sheridan College. Really, I enjoy not dreading going to work. Being able to be paid to enhance and hone your craft is the best job anyone could have. Not just the people in my industry, but also the students! Because we all came from an interest in art/drawing/animation/movies/comics etc… there’s always something to talk about and relate to each other. I’ve worked on TV shows where the rights are owned by those entertainment companies. For most of my career I’ve worked in the Toronto area. Many studios around Toronto get contracts from larger entertainment companies/studios and act as an animation service company. Or simply “An animation studio”. I used to work in the studio but now I don’t work on location, I work remotely from my home office. Technically I am incorporated (basically my own business). And am under contract with Corus to provide my animation services. I work as a character animator this way, but it’s really as if I’m there. I’m still assigned to an animation team, take direction and have the same deadlines as any of the other animators as we work through each episode. Being able to work from home means I don’t have to do the long commute (three hours per day), this allows me time to manage the online school. (and build it in the first place). My job throughout my career so far has been as a Character Animator, which is my specialty. With Corus/Nelvana I am a Character Animator, currently on the TV series “Bubble Guppies”. I use Maya to perform all the characters physical movements. I had to opportunity to work as an Animation Director in 2007/08 on the TV series “Will and Dewitt”. It only ran one season but won a Gemini Award for Best Animated Preschool series. And I was a Supervising Animator on Handy Manny, which is a Disney production. But I worked on that from Toronto studios and we collaborated with Disney digitally. I love animating the characters in the show I work on. But I take a lot of pride in seeing my students from the college and Animation Career Pro progress with their animation. 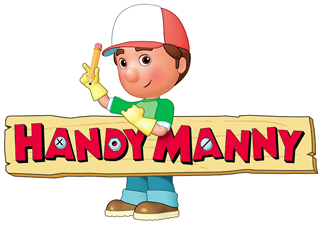 I’d have to say Handy Manny. Although I was Supervising, I still assigned myself a number of sequences to work on. Nelvana and Disney were a pleasure to work with, and we were allowed an amount of freedom with the character acting. Yes! But not tea. And mostly water. Yes, my first job was at C.O.R.E Digital Pictures. It was a vfx company, but also had a toons department were I was hired on to work on a show called “Franny’s Feet”. I also did some vfx testing as per the directors’ request on occasion. My first day is the fondest memory, I couldn’t believe I went from doing oil changes to sitting at a work station. I’m sure the constant smile on my face annoyed everyone. I like to drink fruit/veggie shakes and weight train. I find this keeps me focused and decreases stress. I grew up loving Spider Man, but I also love The Hulk, Batman, Superman The Flash and Green Lantern. I say it a lot actually. You only get out of animation training what you put into it. Learning animation requires a great amount of self-motivation. You have to truly want it for yourself. And, focus on quality for now. You can work on your speed later. Animation Career Pro is an online animation school. I teach animation in 2D using Flash and 3D using Maya. You can choose the 2D course, or the 3D course…or you can cross-train to learn both. The classes start off with basic software tools and functions so it’s geared toward people who are new to animation. As you progress we get into some basic animation principles needed to do high quality character animation. Animation Principles are discussed and demonstrated throughout the entire course (2D or 3D). There’s also a big focus on animation workflow techniques. Techniques that I use every day on the job, and have observed most other animators use (as I’ve seen in the industry). I provide feedback and mentoring to my students after they’ve completed each assignment. If the students see the course to the end, the goal is to have a demo reel (portfolio) which they can use to find a job as an animator. But professionals can use my courses to upgrade existing skills as well. When I discovered I enjoyed teaching and seeing students’ progress. And the fact that I can model and rig/texture, decided to build my training rigs and begin writing the curriculum which went through many revisions to get it right. Five years on and off. But worked on it steady for the last two years and launched June 12th 2015. This has been a consideration, but not at this time. Sky’s the limit! I will soon include a new “rigs” page to the site. There will be 2D and 3D rigs available for free download, some of them were selected from other online sites and some I created or modified. These rigs will be available for educational purposes only and will require a credit to the owner if used on a demo reel. In the next year I will expand the school to include 2D rigging and 3D modeling and rigging classes. I would also like to include a Toonboom Harmony courses as well. Currently it’s 2D animation using Adobe Flash and 3D animation using Autodesk Maya. The training is not aimed specifically at either. They are equal. You can chose 2D Flash or 3D Maya. The curriculum is the same for both as far as Animation Principles go. Of course there are differences with the software being used. So you learn the technical aspects of the software but simultaneously learn the art of animation using The 12 Principles of Animation”. Plus a couple of other principles that have cropped up over the years. The classes at Animation Career Pro teach both. You can’t do character animation without first learning the fundamentals. The “Animation Principles” are the building blocks (fundamentals) of professional quality animation. The “Basics” section of my program covers many of the fundamentals. In the “Body Mechanics” section you start to use the fundamentals to convey weight and convincing movements with a two legged mannequin. In the “Acting” and “Advanced Dialogue” sections, you continue to use the Animation Principles for character animation/performances, plus many other techniques.